The Jefferson County Sheriff's Office and Beaumont Police Department Aviation Unit is a cooperative effort. The mission is designed to achieve the law enforcement goals of the entire county as they relate to officer safety, enhanced drug enforcement, extraditions, and community awareness. This is accomplished by supporting and assisting all patrol units and other law enforcement agencies in Jefferson County for the purpose of enhancing patrol efforts, counter-drug surveillance, performing airborne extraditions, and providing emergency airborne response to crisis situations as well as attend community awareness events. 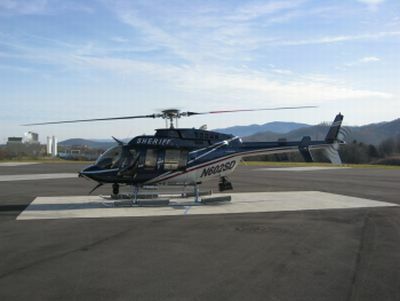 The Sheriff’s Aviation Unit has proven extremely useful in the fight against crime as well as other areas. Assisting in Narcotics enforcement and supporting the Patrol units is the primary mission of the helicopter unit. This assistance from the helicopter unit, which is equipped with a flir thermal imaging camera and night sun light enables fewer ground based officers at crimes scenes and perimeters. Having the helicopter in the air gives a sense of security to the officers and the community. The vehicle pursuit management is increased, by having the air unit to observe and track the pursuit. This ability reduces associated liabilities to the officers, community, and the suspect. The aircrew is made of one command pilot and co-pilot or tactical flight officer (observer). The flight crew observes areas on the ground and monitors dispatch frequencies, responding to calls for service and personal observations based on their experience as Peace officers. In effect, the air unit can be thought of as a patrol car in flight. The unit is placed on 24- hour call up status.